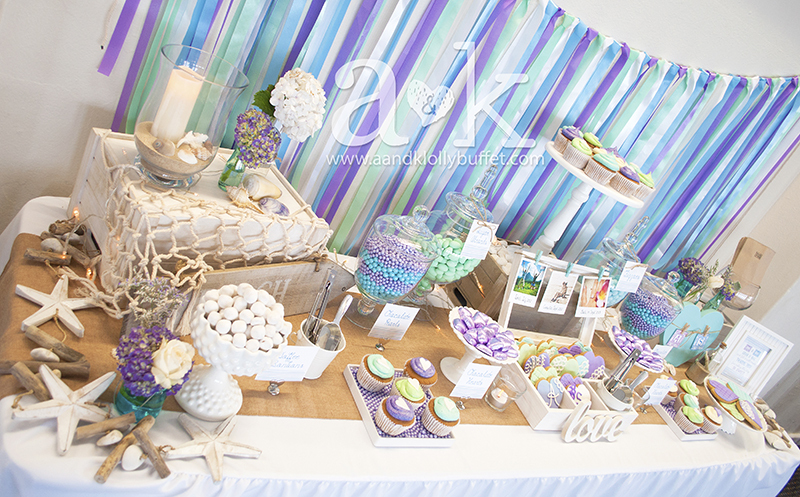 Amanda and Shaun’s Engagement Party Coastal Inspired Dessert Buffet. Concept, Styling & Photography by A&K. 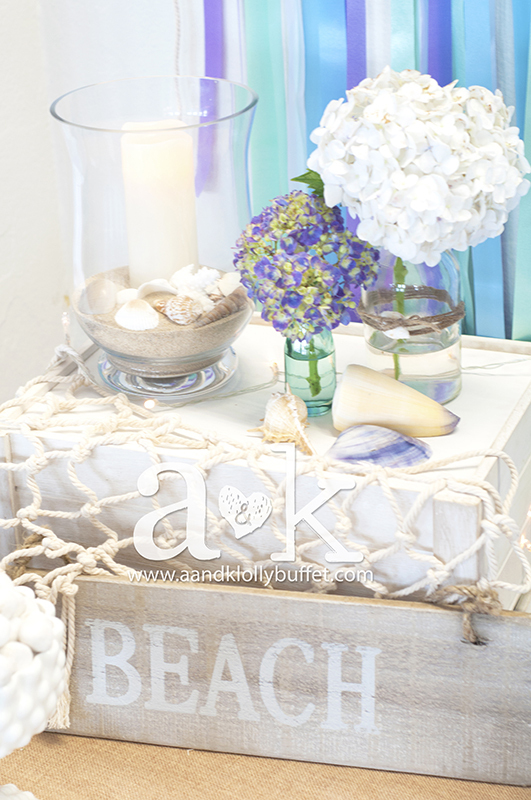 Beach lovers Amanda and Shaun chose a coastal inspired dessert buffet for their engagement party. 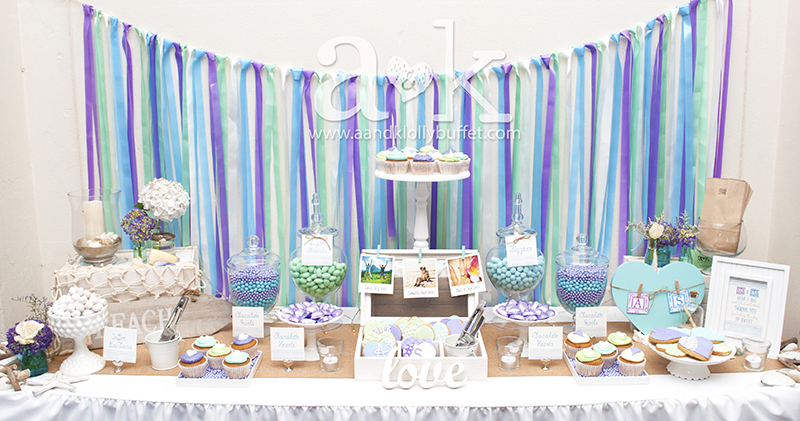 A&K had a ball styling the couple’s dessert buffet, mixing the Purple, Aqua and Green colour palette with the coastal themed decors to bring the sand, ocean and the cool laid back vibe of the beach to the table. 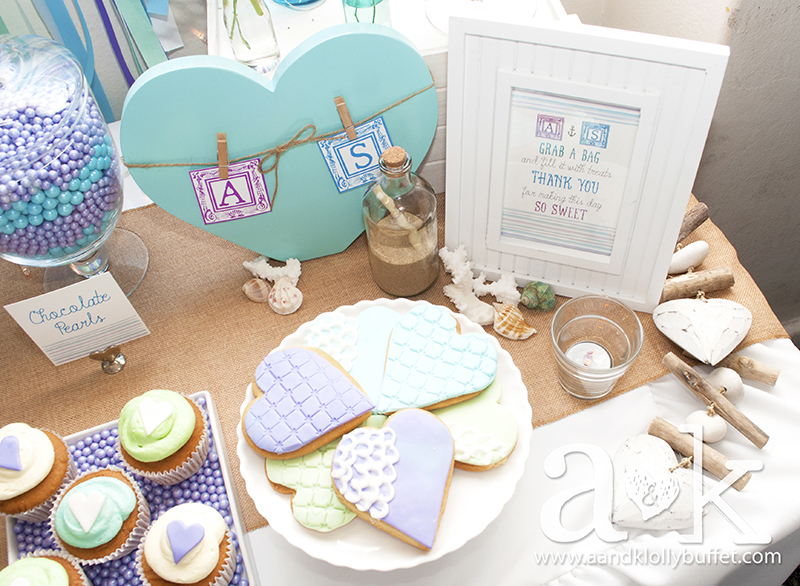 Personalised decor and prints for Amanda and Shaun’s Coastal themed Dessert Buffet by A&K. Concept, Styling and Photography by A&K. We really wanted to tell Amanda and Shaun’s love story in their dessert table, and to also complement the venue decorations done by the couple and their friends. Amanda & Shaun were swept away by how well everything came together. Thank you Amanda and Shaun for allowing us to be a part of your special day, and congratulations on your engagement! 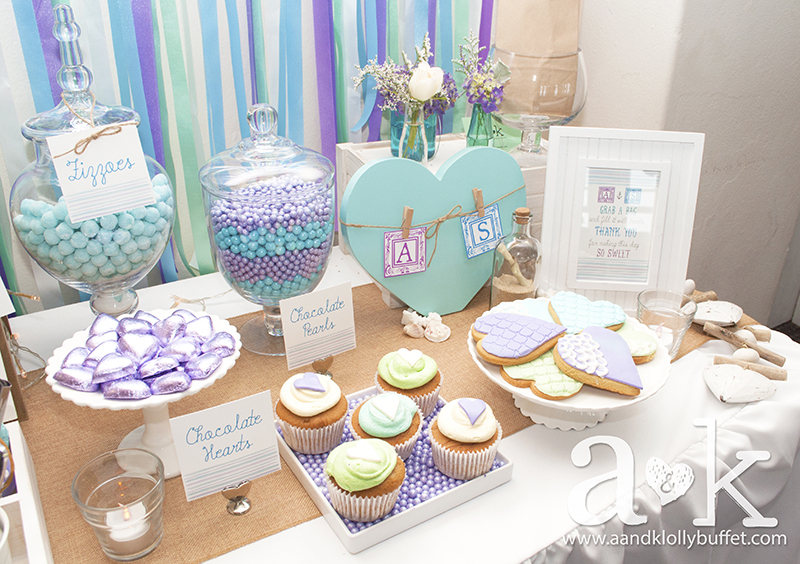 Dessert Buffet Concept, Styling, Artwork, Prints and Photography by A&K. 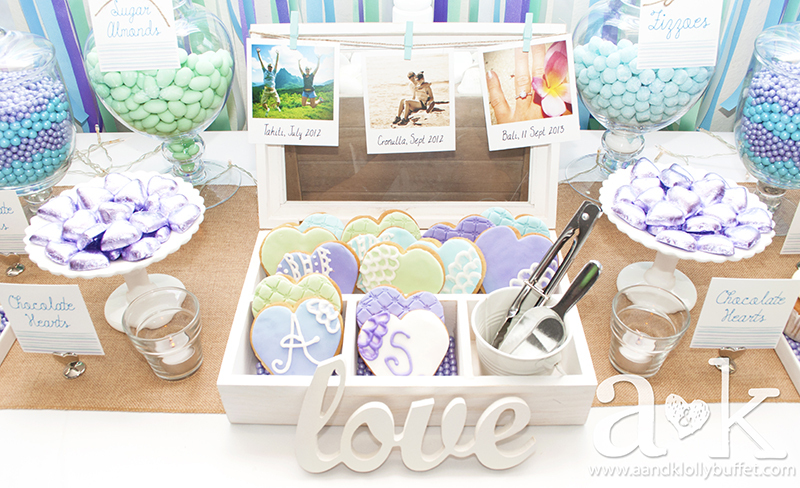 Cookies and Cupcakes by Sweet Treats by Martie. These Polaroid prints of Amanda and Shaun’s milestones added a unique personal touch to the dessert table. Concept, Styling & Photography by A&K. 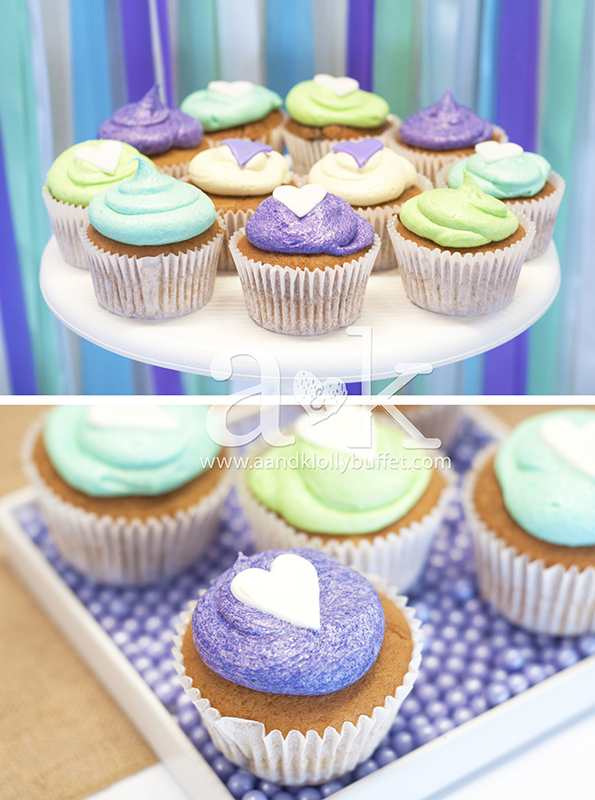 Cupcakes by Sweet Treats by Martie. Styling and Photography by A&K. 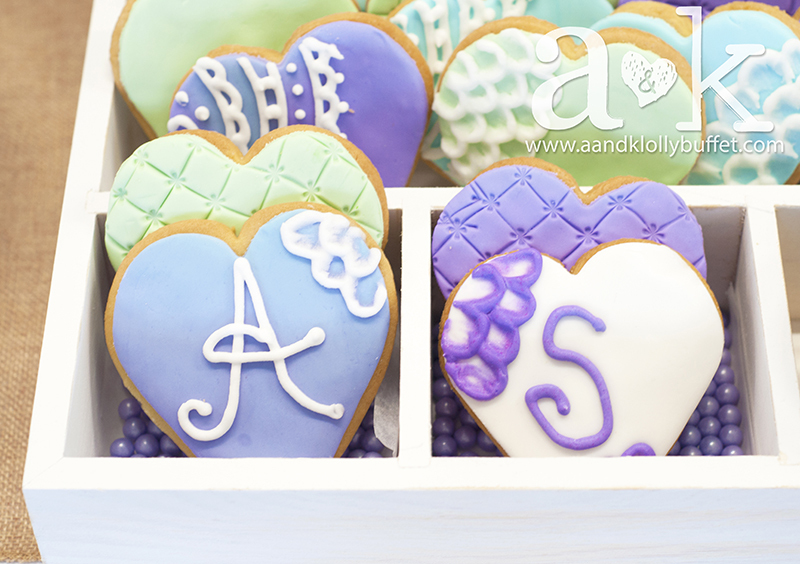 Cookies by Sweet Treats by Martie. Syling & Photography by A&K. Beach inspired decors. Styling & Photography by A&K. Bringing the beach to Amanda and Shaun’s Engagement Party. Concept, Styling & Photography by A&K. 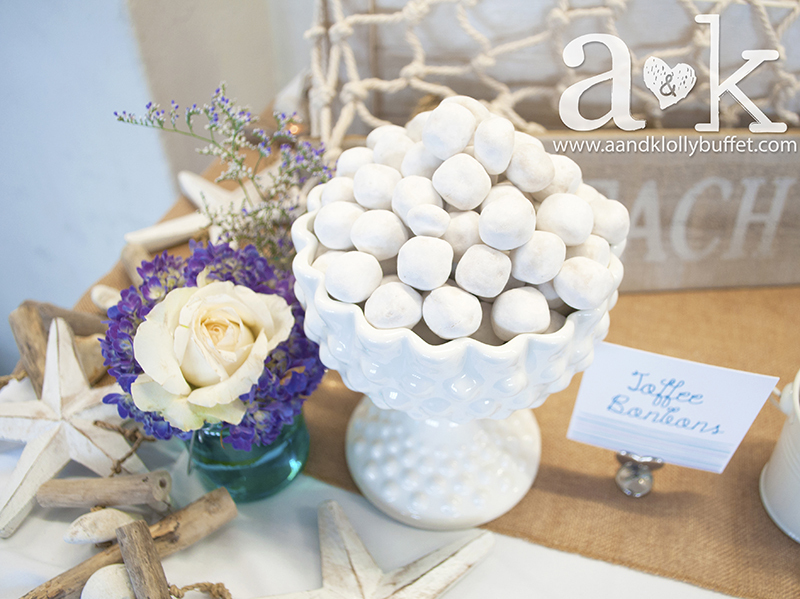 Toffee Bonbons featured in our Rosanna Hobnail Milkglass Compote with custom-designed label. Styling & Photography by A&K. 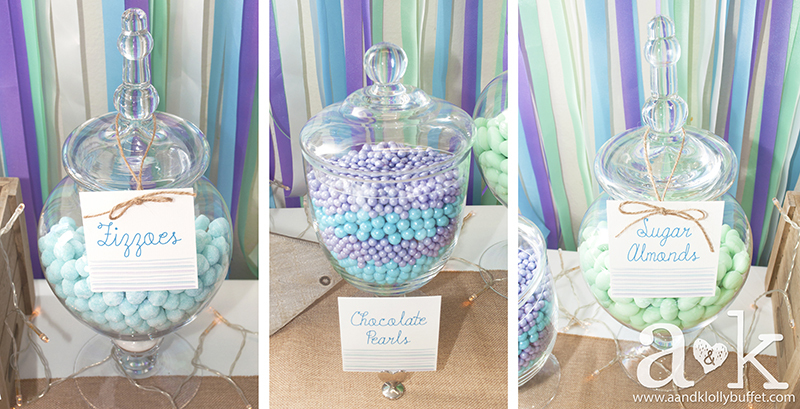 Purple, Aqua and Green desserts for Coastal inspired Dessert Buffet. Concept, Styling & Photography by A&K. Purple, Aqua and Green lollies for Coastal inspired Dessert Buffet. Concept, Styling & Photography by A&K. 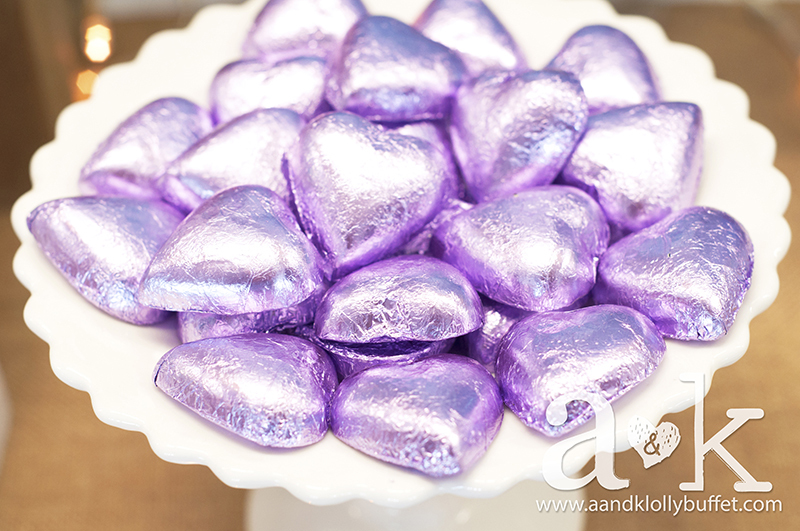 Purple Chocolate Hearts featured in our Rosanna Milkglass Compote. Styling & Photography by A&K.